Elbow Tendonitis is a result of inflammation and swelling of your tendons which can cause pain in your arm and elbow. Elbow tendonitis typically occurs through overuse activities like tennis, golf, other non-sports repetitive motions from typing, woodworking and other occupations. You may feel pain or burning in the elbow / forearm area or weakened grip when you try to lift or have to grip objects. 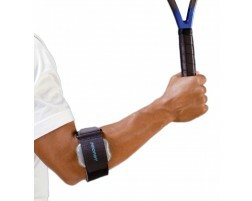 Both tennis elbow and golfers elbow are a result of tendonitis in different parts of the arm. Wearing a brace can help alleviate some pain associated with elbow tendonitis by applying pressure in the muscles and helping stabilize the area when in use. 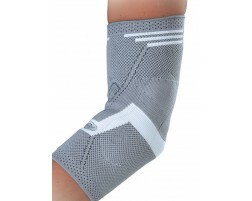 Most of our elbow braces for tendonitis can be used for either tennis elbow or golfers elbow by adjusting the placement. For additional assistance on selecting a brace for elbow tendonitis, use our Brace Advisor, a guided tool for recommendations.